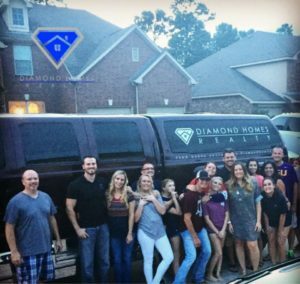 This month we’re shining the spotlight on real estate broker DJ Arsenault, co-owner of Diamond Homes Realty. Customer service is our highest priority. We’re not just about numbers, we’re about growing relationships. Most of our clients end up being friends. We have five-star ratings across the board, wherever you can find us online. That’s the level of service we offer clients. We excel at what we do, and we outperform other brokerages. Our top priorities are finding our clients the homes they’re looking for in the time frame they need, and for sellers, putting as much money as possible in their pockets in their time frame. We are a relatively small company, but we do a fairly large amount of business. Also, our company is nearly 100 percent referral-based, which is a testament to the fact that we take such good care of our clients that they trust us with their friends and family. Tell us how you got your start in real estate. I came from the financial side of the business: lending. 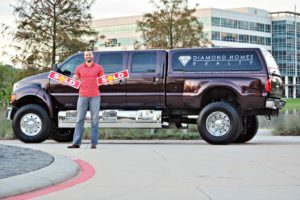 A number of real estate agents were referring business to me, and I realized that not only was I doing a lot of the (real estate) work for them, I was educating them on the process of selling people a home or helping them buy a home. Also, being on the finance side of the industry, we helped people buy a home…but by working with us, people were going into debt. Most people don’t get excited about that. I thought, why not move into the real estate side of the business, the “happy, fun side” of the industry? One thing that helped me is I became a real estate investor when I was in the lending business. That really helped me understand the real estate business forward and backward, top to bottom, before I ever crossed over to the real estate side. So it was a very easy transition for me. My company has two real estate agents: me and my wife, Elizabeth Arsenault. I focus on selling homes, and she focuses on buyers. DJ (second to the left) and Elizabeth Arsenault believe in forming long-term relationships with clients. They’re shown here at a customer’s housewarming party. My work includes putting together real estate listings, placing signs in yards, creating marketing packages for the web developers, and getting the property prepared for market. And it’s implementing the strategy that I have in place to get top dollar for my clients when selling their house—and doing it as quickly as possible. My listings average 22 days on the market, and most of them sell for almost 98 percent of what I list them for. Statistically, comparing myself to other brokerages in the area, I make almost 3 percent more on the properties that I sell for clients than my competitors do (for comparable listings). We are heavily invested in digital marketing. 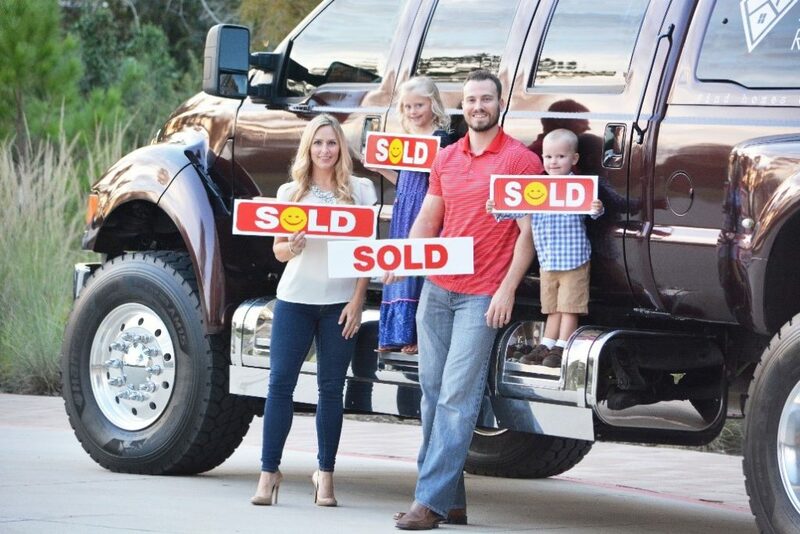 Our whole process is geared toward creating an online presence for each listing so that whenever it hits the market, it shines above all other houses around it. It’s a process that works every single time. My wife is our full-time buyers’ agent. Her job is to find homes for people that meet their specific criteria. We do things a little differently than most real estate companies in that we really think outside the box when it comes to finding property. Maybe one out of 20 buyers she works with is looking for a house that isn’t available, or maybe they want something in the $200,000 price point—homes in that price point come off the market so quickly, it’s hard to find the perfect home and not feel like you’re rushed. We’ll actually do marketing campaigns for the specific kind of property that our buyers are looking for. Sometimes buyers find a house that isn’t even listed. Maybe the owner wasn’t looking to sell their house right then and there, but they saw the ad so they reached out to us. We put the buyer and seller together. It’s really the best stress-free situation. The buyer can say, “I want to buy your house, but I have a house to sell,” or “My lease doesn’t run out for another 60 days.” We’ll do a 60-day contract on it. And that gives the seller extra time to go look for a house without feeling pressured. What advice would you offer newcomers to your field? Get as educated as you possibly can, and figure out the ins and outs of every aspect of the business. By coming from the lending side, I knew the intricacies of the mortgage business. You also really need to know insurance, the title business, the appraisal business, and the inspection business. Know those things very well so you can give good advice to your buyer or seller. We understand that you’re very active in your community. Why is that a priority for you? 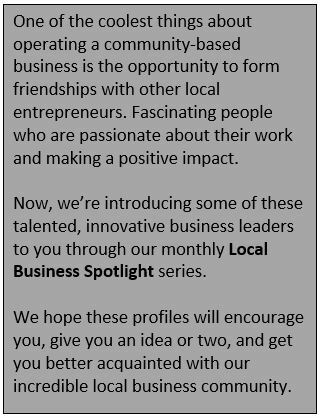 Again, we’re all about building relationships and growing our business organically by word-of-mouth. So we do community fundraisers. We’re also very involved with our church. And every quarter we partner with another company or neighborhood to put on a community event. It’s a great way to give back to the community and for us to meet people in communities where we work. We also take our Super Truck to do cool community events. We put it in The Woodlands Fourth of July Parade. We also do Touch-A-Truck, a big community event in Creekside. Taking it out there and letting kids sit in it and honk the horn is pretty cool. I’m also really big on educating people, especially about the real estate and financial world. So I give free seminars for first-time home buyers and make videos that educate people about the real estate process. What kind of impression has Montgomery Self Storage made on you? It seems like they have a great business model, and from what I’ve been able to see, their properties are very professionally maintained. It looks like a place where you don’t have to be concerned about security, and the units are well taken care of. That speaks to the management, that they have pride in what they do. 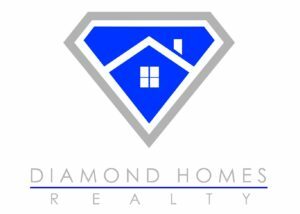 For more from DJ and Diamond Homes Reality, visit them at https://www.diamondhomes.com and follow them on Facebook, GooglePlus, LinkedIn, Pinterest, Twitter, Yelp and YouTube.